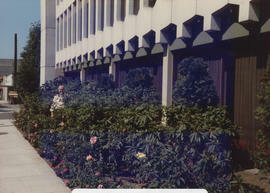 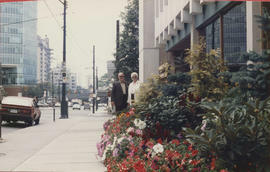 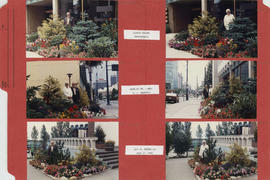 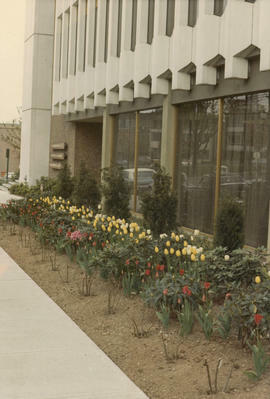 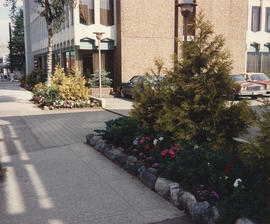 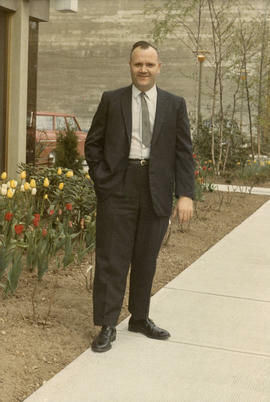 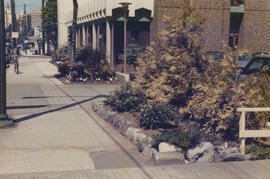 Item is a photograph showing large trees on West Nicola Street outside of the Canadian Indemnity building at 1477 West Pender Street. 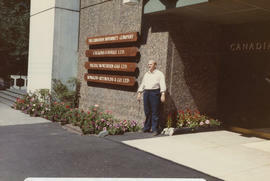 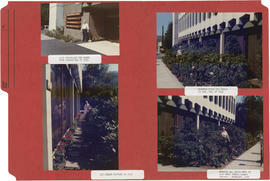 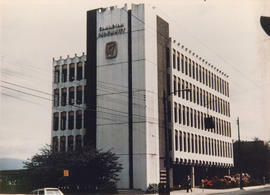 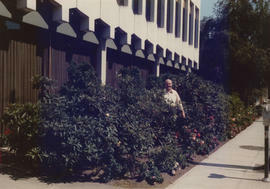 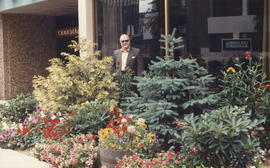 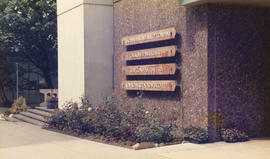 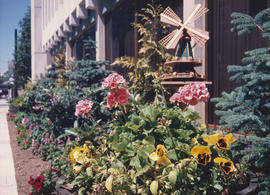 Photograph was taken after the exterior of the building was steam cleaned in 1975. 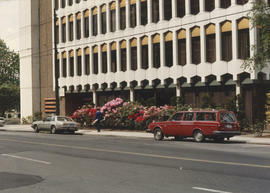 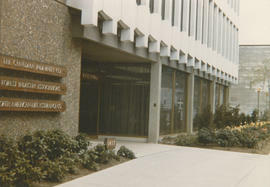 Item is a folder containing four photographs showing the Canadian Indemnity Company building at 1477 West Pender Street prior to improvements undertaken for the Make Vancouver Sparkle contest. 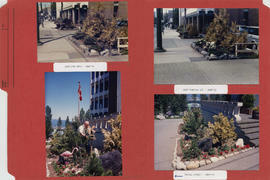 Item was submitted to the Make Vancouver Sparkle contest. 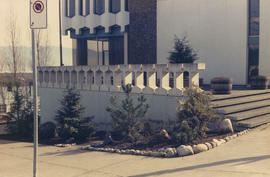 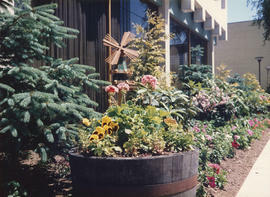 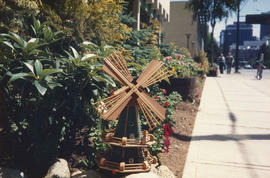 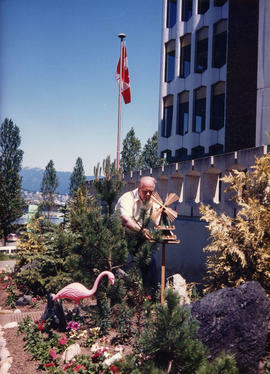 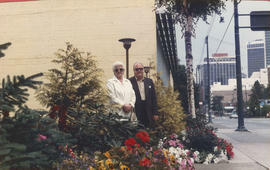 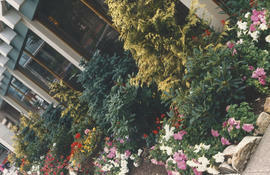 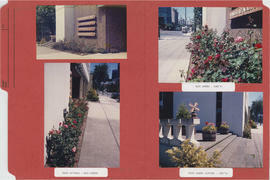 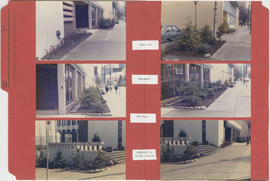 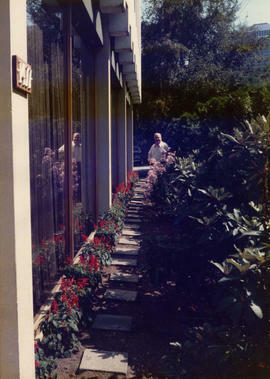 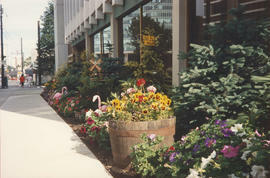 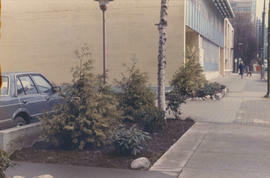 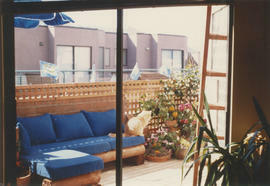 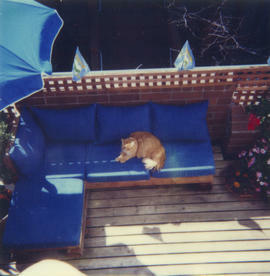 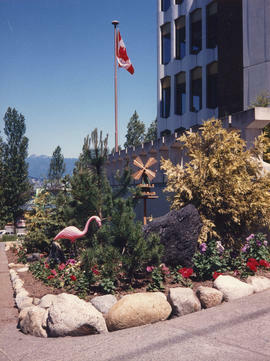 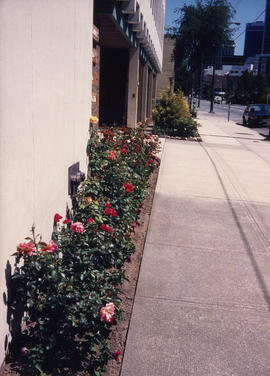 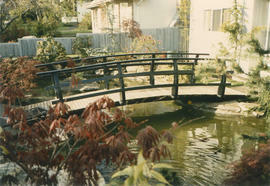 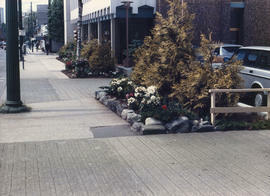 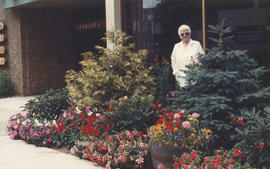 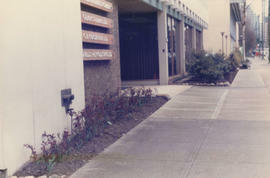 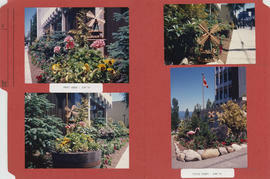 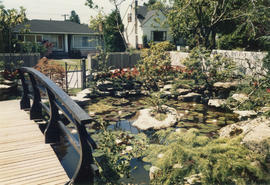 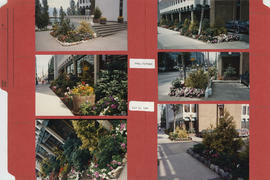 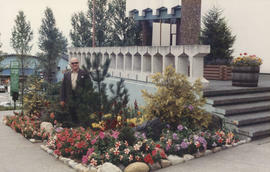 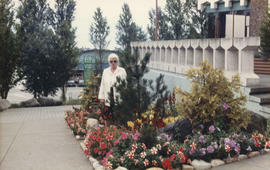 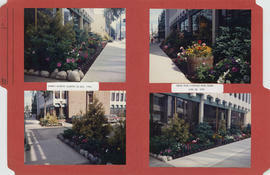 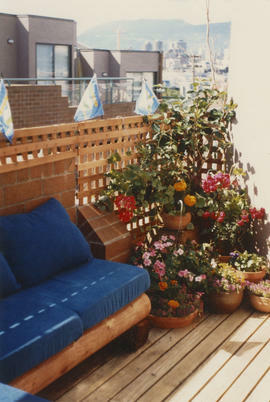 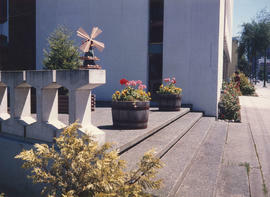 Item is a photograph showing the garden at 8578 Adera Street after improvements undertaken for the Make Vancouver Sparkle contest. 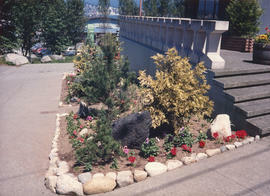 Item was submitted to the Make Vancouver Sparkle contest in the most improved garden category.